During our sailing journey we of course had to tackle pretty many practical things and find solutions to living on board. For me, this was the first long sailing journey so it was crucial to come up with new ways of dealing with things. We have tried to be as environmentally conscious as possible. For example, we use environmentally friendly dishwashing liquid in order to avoid polluting the sea. One of the topics that was a little bit difficult to tackle with was the waste and recycling. 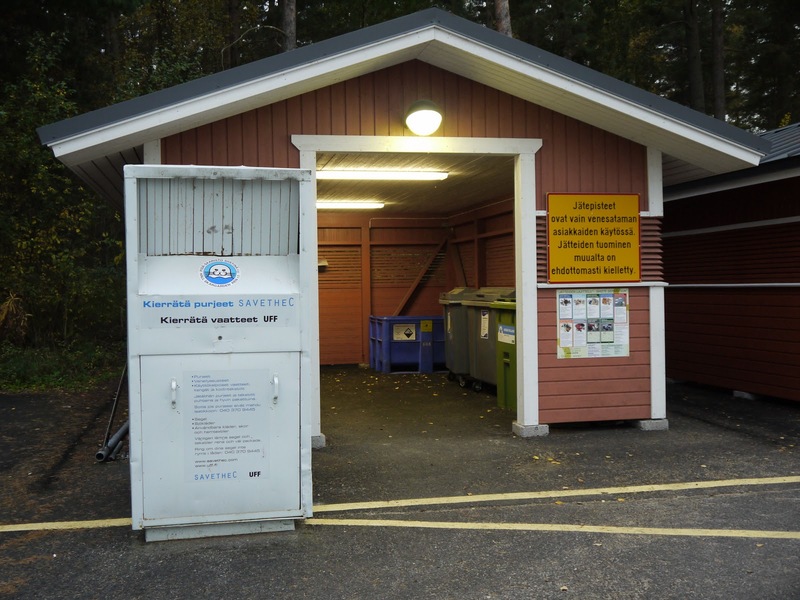 In Finland, the whole recycling system is very well organized - there are different bins for all different materials in every house: glass, metal, paper, cardboard and separate bins for the rest of waste which are either combustible or go straight to the landfill. Additionally, hazardous waste like fluorescent lamps and batteries are collected separately. The recycling is done the same way also in the Finnish Archipelago. 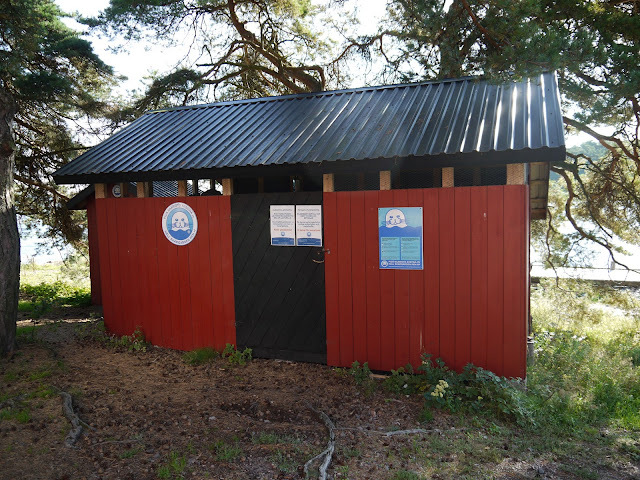 At Åland islands, there is a strict law that all that can be recycled, has to be recycled. Even in the harbours. It seems to us now that Finland is the only country around the Baltic sea where people actually do care where they through the waste. Hardly any Swedish, Danish or even Norwegian harbour we visited during our sailing journey this summer had other possibilities for recycling than normal waste and maybe an additional bin for paper waste. Where should one put all the metal food containers people so often use at sea when it can be difficult to get fresh food? Or glass bottles? As a Finn, it was very difficult to understand the alarmingly low level of recycling possibilities in the harbours. Especially, when Baltic Sea needs help and we need to keep the water from getting totally polluted, it should be very easy for people to recycle everything possible. 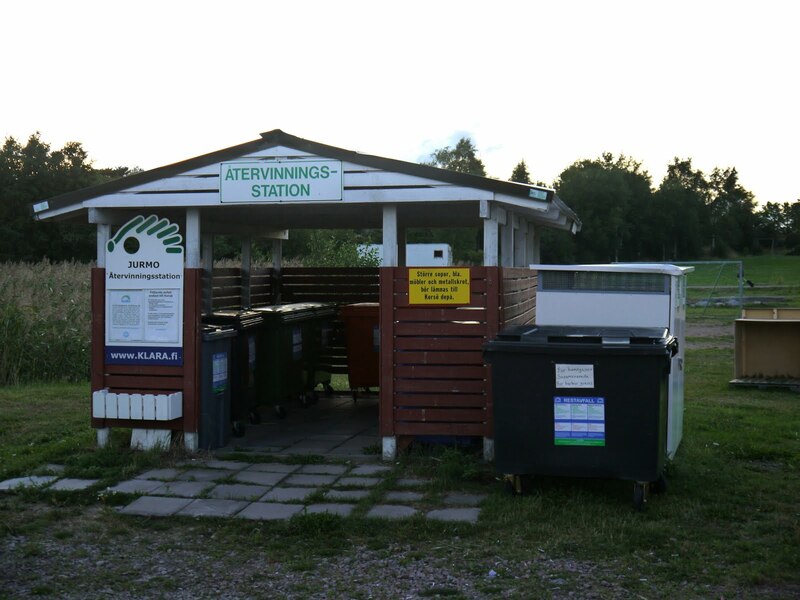 This recycling center is located in the small island Helsingholmen. They even collect your bottles that you could recycle to the grocery store and get a deposit - so the administrator of the recycling center can collect the deposits later on. This one is located in Raisio, where Dolphin Dance is spending the winter season. Here one can even recycle the sails - SavetheC is a company that uses sails as a material for their products! Is Finland the only country where recycling is this advanced and easy? What is your opinion and experience? Laitanpa suomeksi. Totta puhut! Suomessa otetaan ohjeet tässäkin asiassa kirjaimellisesti ja mielestäni aika tunnollisesti. Paljon on varmasti parannettavaakin ja alueellisesti aika paljon eroavuuksia. Itämeren ongelmat ja ylipäätänsä vesistöjen saastuminen saisi nousta voimakkaammin puheenaiheeksi. Pelkästään esim. tavallisen kosmetiikan ja pesuaineiden sisältämät raaka-aineet sisältää esim. silikonia, joka ei sitten vesistöistä häviä. Saastuminen on surullista ja kuormitus vain lisääntyy. Niinpä! On mielestäni hienoa, että Suomessa suhtaudutaan meren suojeluun näin hyvin ja säännöksiä noudatetaan. Pisti tosiaan kesän aikana ihmetyttämään, että satamista ei oikein ikinä löytynyt mahdollisuutta kierrättämiseen. This is really great, I hope they do that in all of the places so that the earth will be a better place to live in.